Doug is the manager of our New York City branch office, as well as our Sales Team as our Director of Sales at A.S.A.P. Mortgage Corp. Doug has been in the mortgage business for over three decades. He possesses expertise in all secondary market financing options as well as FHA and VA loans. Doug is skilled in all facets of mortgage brokering including the origination of new business, processing, underwriting and closing files. Doug has received the 5 Star Professional Award for the past 5 consecutive years. He has also been included in the Worldwide Registry of Executives, Professionals, and Entrepreneurs for the 2014-2015 Edition. Doug’s promise to his clients is this: that he will always deliver prompt customer service and transparency throughout the mortgage process. He is always available to address all questions and/or concerns his clients might have. 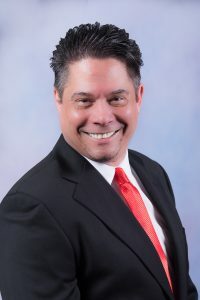 Doug utilizes his years of experience in the finance industry combined with his passion for the real estate industry to deliver 5 star results! In his personal life, Doug enjoys fine art, antique shopping and spending time with his longtime partner in East Hampton, NY. Doug is a member of multiple Chambers of Commerce and is an active supporter of the Live Out Loud Organization. Doug was born and raised in Northern Westchester.